Chicago, IL. 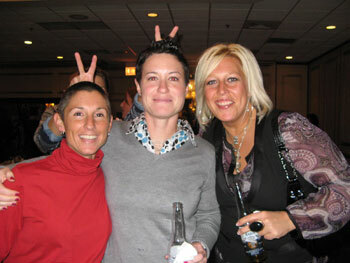 The Chicago Force team banquet celebrated the successes of 2009 and also began preparation for 2010 in their annual team banquet last weekend. The Force finished the 2009 season 7-3, having knocked off the #1 conference seed but losing in the semi-finals to the eventual champion. Expectations are high for the 2010 season as Head Coach John Konecki (an IWFL All-Star Coaching selection) is returning to lead an experienced group of core players. Other returning coaches are Al Maldonado, Bill Smith, Darion Yarborough, and Ron Munvez. Several new coaches are also being considered and will likely participate in the upcoming tryouts in November and December.